A holiday in Provence sounds like the ultimate in “grown up” getaways. The amazing architecture, the irresistible foods, the quaint towns and the endless beauty of the landscape appeal to almost everyone. Of course, if you are a family looking for a wonderful spot to escape, you might not believe that this dreamy destination is a good choice for people of all ages. 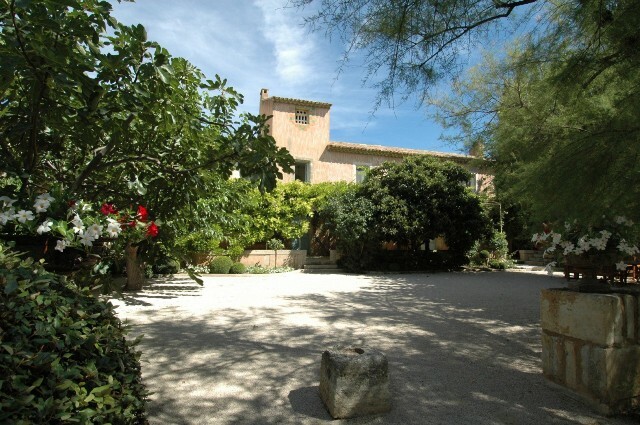 The good news is that it is a perfectly wonderful place to choose for your family vacation, and when you book a villa in Provence, you guarantee that everyone will be delighted by the decision. Imagine waking in the morning in one of those idyllic, picture book settings that make Provence so famous. There are rows and rows of lavender stretching into the distance, gorgeous gardens of roses and blooming flowers, curving lines of cypress that frame the rolling hills. Of course, with a well-chosen villa, you can savor this scenery from your private retreat, and enjoy such luxurious amenities as a pool, tennis courts, gaming rooms, outdoor kitchens with full gardens, and more. Let’s look at four villas that would prove the perfect setting for the ultimate family vacation in Provence. 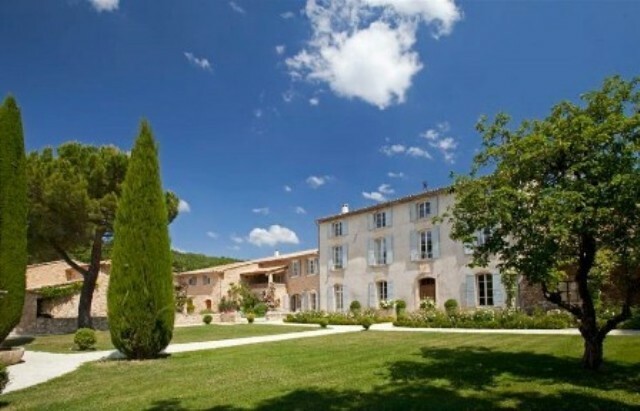 A true, private estate in the heart of the Provence countryside, it is a 10-bedroom dream in the Luberon region. It is tucked into 200 private acres and features those famous rows of lavender along with picturesque grounds and woodlands. 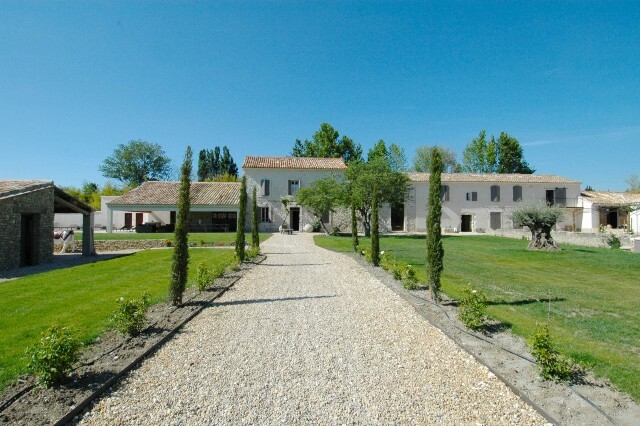 The property itself is surrounded by a working gentleman’s farm with a lovely hen house, a kitchen garden, tennis courts, a large swimming pool, play area for kids and even a petanque strip. There is even a summer kitchen by the pool for those unforgettable dinners at sunset. This property features a main house and a charming dovecot for up to four guests. The main house is amply supplied with terraces and charming outdoor living spaces. Inside, there is a library, two separate living rooms, and multiple fireplaces for year-round enjoyment. Also in the scenic Luberon area, this eight-bedroom villa is another estate-like property with more than 38 hectares of private land. An oak forest and private gardens surround this amazing property, and stone walls, rose gardens, fountains, a courtyard and even a tower turn this into the ideal retreat. There is a large rose garden, outdoor lounge and separate al fresco dining area adjacent to a fragrant garden. There is a private pool with separate pool house, summer kitchen and a tennis court. The old barn has been fitted with a full-sized play room with games and indoor playground gear, ensuring family members of any age are always happy. Yet another Luberon location, it is a fabulous seven-bedroom property set within an immense, 750 hectares of lavender, olive groves and landscaped gardens. The property features an enormous range of outdoor living spaces – most with views over the lovely Bonnieux area. There is an enormous saline swimming pool, an outdoor or summer kitchen, and al fresco dining along the different terraces. Inside, the property is done in a classic style and features a games room for the kids, bedrooms decorated specifically for children and teens and enormous shared living spaces in addition to the bedrooms. The kitchen, with its rustic cabinetry and enormous island will be a constant attraction for all. This eight-bedroom property is a fully restored, authentic French farmhouse. Set at a distance from the entry, a trolley can bring visitors and their belongings to the villa. The amazing landscaped grounds include playgrounds for kids, a large pool with terrace, a petanque field, and a barn redone to serve as a game room for children and teens. Choose one of these lovely, private paradises and settle in for a dreamy and utterly relaxing holiday, and always just minutes from the delights of the nearby town.